The Rideable Spiders Mod for Minecraft 1.8. is a fairly straight forward mod that allows players to ride spiders by crafting their own special mob saddle! Once you have done this you can then tame the spider with specially crafted spider food and then have fun riding them. This mod is compatible with all versions of Minecraft and can even be installed for both Minecraft client and servers. So what are you waiting for? Download it today! There is no real way to use the Rideable Spiders Mod you first of all need to download it with Minecraft Forge and then you can load up your latest save game. When loading all of the mods features should be automatically enabled. Craft a saddle by following the recipe below and the food too! The tamed spider won`t disappear even if you set the difficult to peaceful. You can also tame cave spiders, but they are slower than the big ones. This mod is available for both client and server. To saddle a tamed spider you have to press shift while clicking right (with no item in your hand)on the spider. This will open a spider inventory, where you can put the saddle in and armour too. Next, download the Rideable Spiders Mod and drag and drop it into the .minecraft/mods folder of your Minecraft directory. 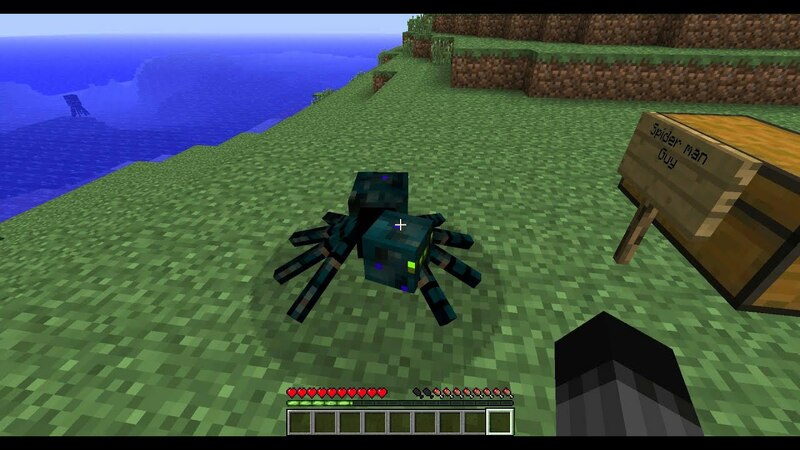 There most recent update for the Rideable Spiders Mod added compatibility to Minecraft 1.8.